Tajikistan. 2009. 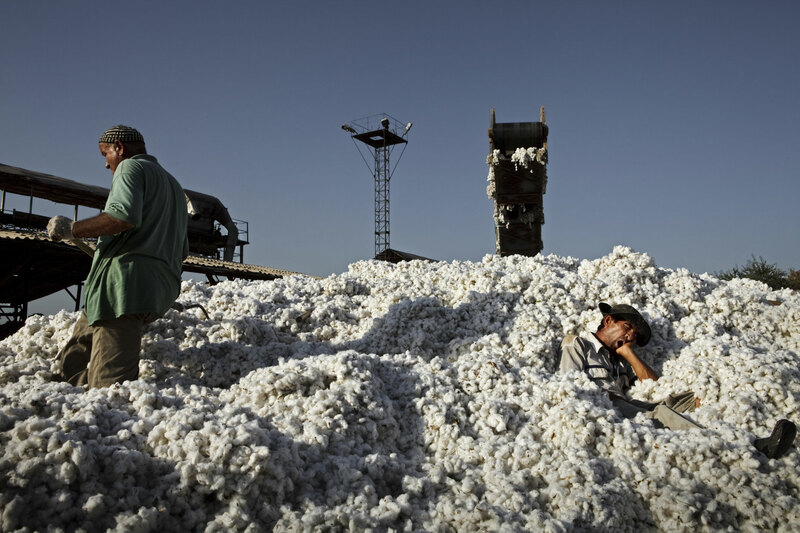 Saoudali Rakhimov taking a mid-work nap in the soft bed of the cotton, while his colleague Saiburhon Nemonov, shuffles the freshly picked cotton around.